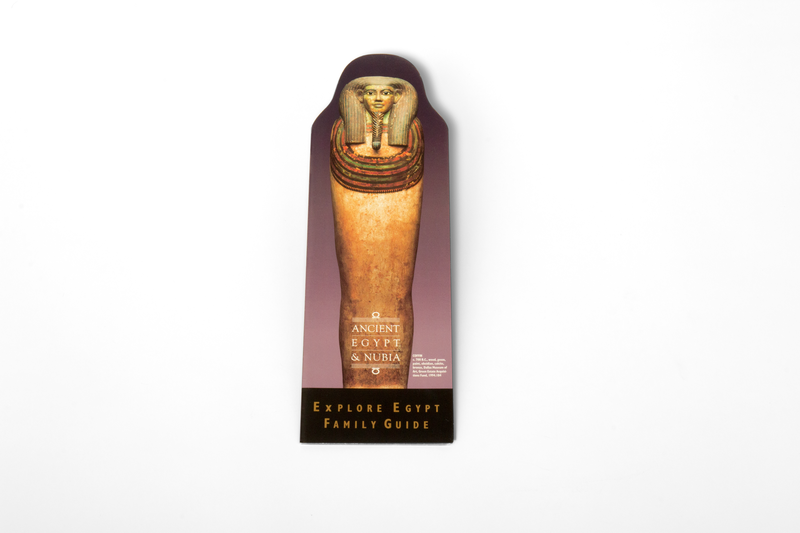 This brochure for the Dallas Museum of Art guided visitors through the Ancient Egypt & Nubia exhibition with historical facts and information on important artifacts. 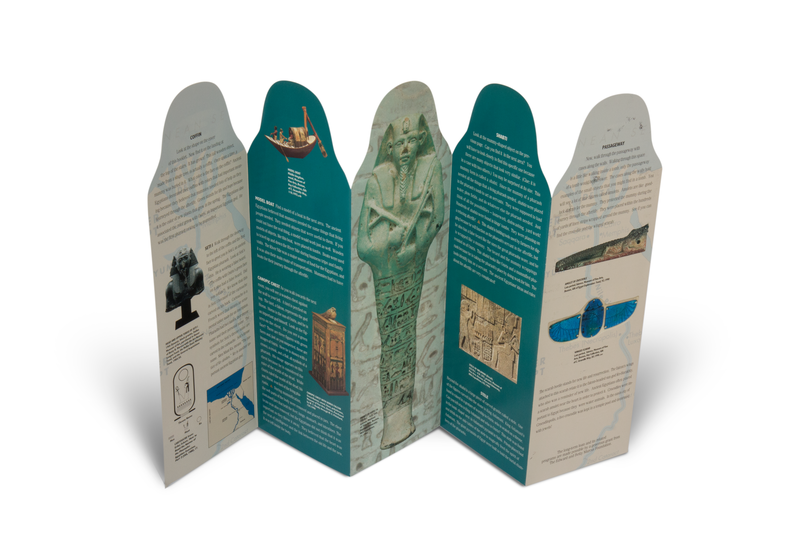 This brochure for the Dallas Museum of Art guided visitors through the Ancient Egypt & Nubia exhibition with historical facts and information on important artifacts. The brochure also included fun activities for the kids. 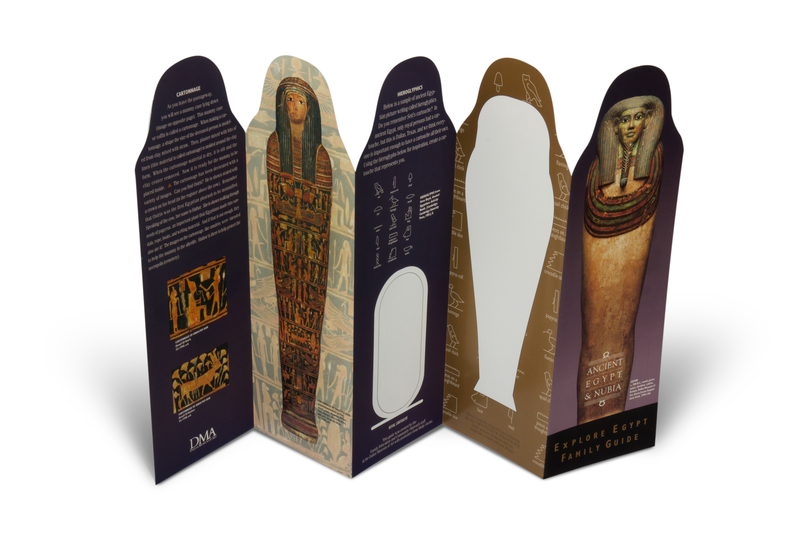 This piece was die cut in the shape of a sarcophagus—a centerpiece in the exhibition.